Toward the end of each year, I like to reflect and think about what next year’s business trends will be. Business trends dictate how you plan and strategize, although most people spend most of the year reacting to these trends and predictions (often jumping on board far too late). This is why I take some time each year to just… think. This year I’d like to share the business trends and predictions I believe will come true in 2019. Maybe you agree with these 2019 predictions. Maybe you don’t. 1. The cost of ATTENTION will skyrocket. This means it will cost you MORE money to gain their attention (either through paid or organic marketing), and it’s those who focus on building trust and intimacy that will win the war. 2. The Economy will crash. A big claim, I know… but I believe the economy will suffer in 2019. Assuming it does, this will lead to a greater demand for Mentorship and Coaching. Why? Because as people lose jobs, they will turn to “experts” to show them what to do next. So although a downturn may seem like a bad thing for you and your business, the smartest entrepreneurs are those who will have their biggest years yet. 3. Facebook will get less and less effective. Facebook is still relevant, but the engagement you’ll see on there in 2019 will plummet! Whether you focus on organic or paid (or both), expect to see a lower ROI on your time and money. As a platform, Facebook will remain valuable. But you will REALLY need to know what you’re doing to make it work, and the days of following a few hacks and expecting big results… they are long gone! 4. Instagram, YouTube, Google Ads will become HUGE. On the flipside, advertising on Instagram, Youtube and Google will EXPLODE! If you’re established and aligned on these platforms already (people like Rachel Bell and Ross Johnson on Instagram, and Sunny D. Lenarduzzi on Youtube), you have a huge advantage over everyone else. We’ve started to experiment on all these platforms, and the results are much better than I expected. Facebook remains relevant, but these platforms are closing the gap quickly! In 2019, expect ad costs to remain low on these, but for attention to get much higher. 5. Customer Journey will become critical. Before and after the sale… your customer’s journey will decide your success. This has always been important, but with the competition around you these days, it’s becoming absolutely critical as we move into 2019. If you aren’t planning your customer journey in advance (before and after the sale) with the “right” triggers to ensure someone transitions from lead to customer the “right” way… it’s game over for you! 6. Lifetime Value will be the only thing a marketer cares about. “Scott, you’re willing to spend more money than anyone else to get a new customer”. I can’t tell you how much I loved hearing this. 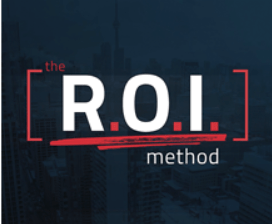 I talk about the Invisible ROI often, and how important it is to play the long-game. If you don’t, forget about surviving 2019! Focus on how much value you can give someone over the next few weeks, and then how you can continue this long into the future. The lifetime value of your customer is more important than their 30-day return. Don’t forget this! 7. Brand+Authority will increase in value. There are too many “pretenders” these days, so people are switching off to the chatter. But these same people still need help, which means those who have established true authority within their industry will become more and more valued! This means if you’re a master at what you do… prepare to get PAID in 2019. 8. Low-End Products will become NEARLY impossible to sell. Unless you have a MASSIVE personal brand or unfair advantage… forget about those low-end products. The cost of “selling” will continue to rise, so you need a back-end that focuses on $2,000+ products. The days of the $97 course are over. 9. Fluffy things will stop working. Look… bots and webinars still have a place, but you need to STOP preying on people’s scarcity. It no longer works, and in 2019 it will (hopefully) disappear forever..
10. Those who focus will be successful. This is my prediction every year, and every year it proves correct. Want to win at this game? FOCUS! 11. Illumination will continue to win. People are becoming more “woke” about how the internet works. Your audience are on to you. Manipulation like this no longer works, and in 2019 it will have even less success. So instead of trying to manipulate your audience… ILLUMINATE them! 12. Content will become more freely available than ever. Take it from someone who’s built and sold courses… on their own they rarely help anyone. Most people buy them and forget about them, which means you need to change your business model so it gives away your best content for free… attracts attention and builds trust and intimacy… and turns your leads into customers with a product that actually solves their problem. 13. It will become more difficult to “start” from the “bottom” and work your way up. Not impossible… but it will get harder and harder to work your way up from the bottom. Calling yourself an “expert” when you have no expertise doesn’t work anymore. You need to be the real deal, and you need to build intimacy and trust with your audience. So if you don’t have an audience yet… start now before it’s too late, and become their “go to”. The typical funnel that leads someone from a webinar to sales page is dead! You need a “Relevancy Funnel” that gives your audience the right content at the right time, in a way that builds trust, intimacy and rapport. That’s it… These are my Business Trends and Predictions for 2019. As we create our goals and vision for the year ahead at 1MT, this is what we’re focussing on. Maybe you only agree with some of these business trends, maybe you agree with most. Either way, think about your predictions for the year ahead, and ACT on them long before your competitors do.